57A Sharmans Cross Road is a ‘deceptively spacious’, thoughtfully extended and beautifully presented, 4 bedroom contemporary detached family home conveniently situated in this highly desirable residential area. When I bought the property in 2010 I realised that it was a blank canvas with huge potential to become a very contemporary family home. Originally 57A was a 2 bedroom detached property in need of a lot of TLC. 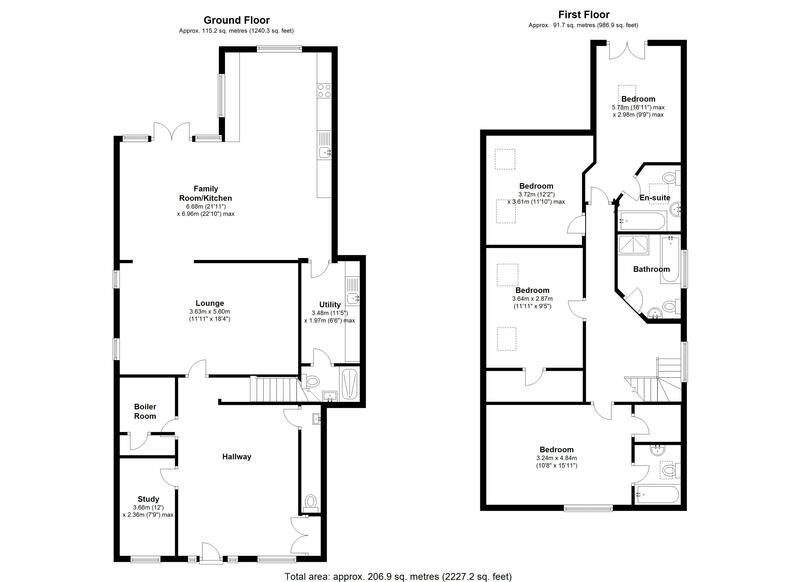 We embarked on a planning application to extend the property on both ground and first floor, doubling its size . I wanted to create a bright and modern family home with kerbside appeal and I feel I have succeeded with this goal. The extension was completed and over the next couple of years, and I systematically completed the modernisation including, John Lewis kitchen and appliances, Porcelanosa tiles and sanitary ware, en-suite and downstairs bathrooms. I think that 57A is very contemporary and individual home with a nice feel to it..